The Madison Modern Quilt Club had a sew day at my shop a few weeks ago. 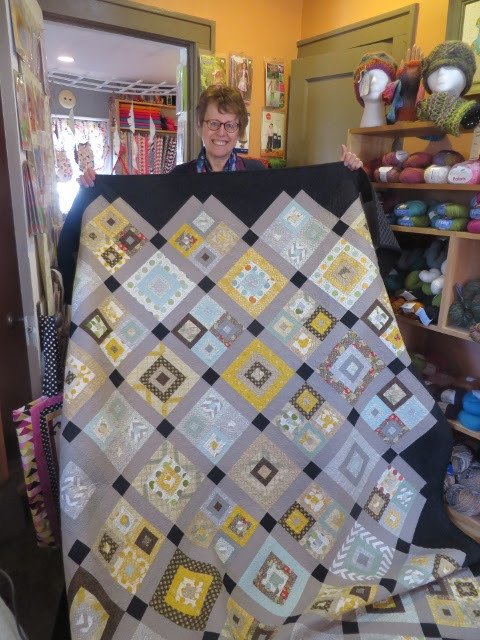 Cindy Anderson of Janesville made this wonderful quilt with fabrics from the Bungalow. No, she didn’t make it in one day, but she brought it to show me that she had used all of our fabrics. It is absolutely lovely Cindy.